New: Now also with 3 push-buttons per unit. 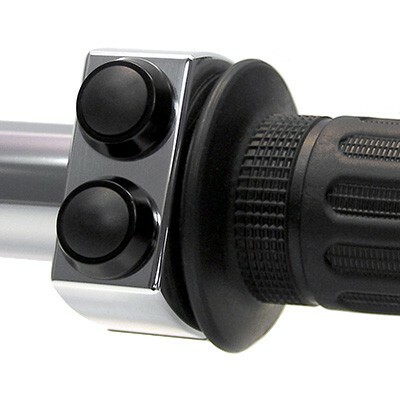 The m.switch is a high quality universal push-button control for handle bars with 1 in. 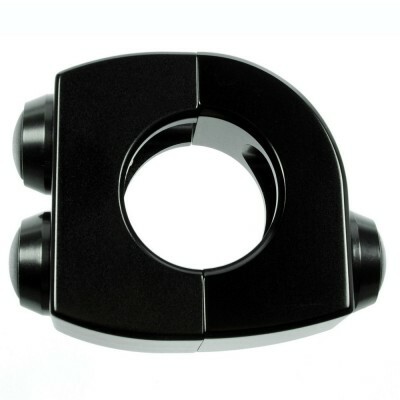 or 22 mm (7/8 in.) tube diameter in a plain and elegant design. 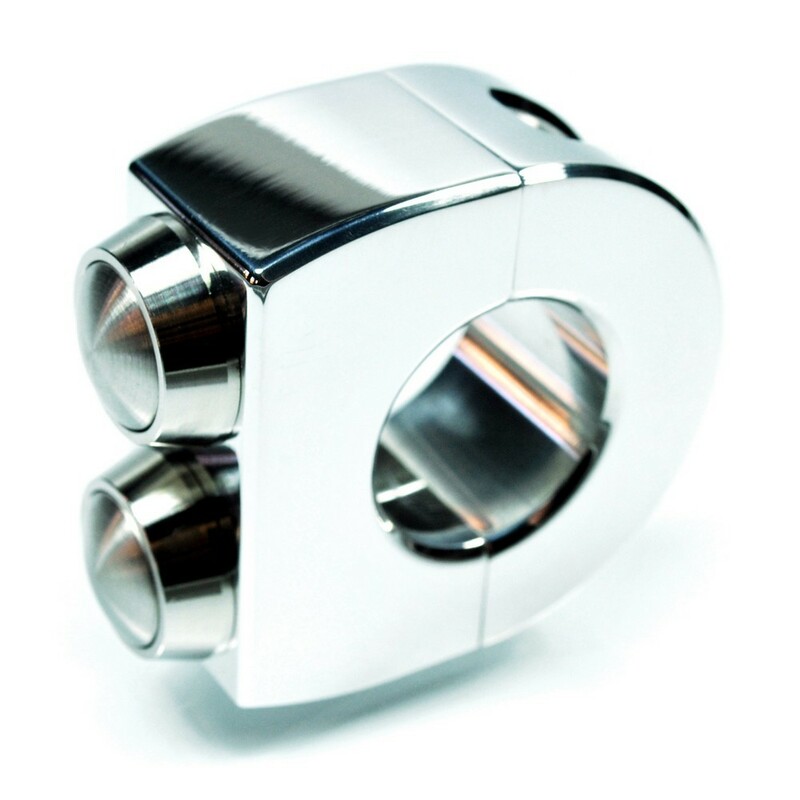 Each unit is equipped with two or three push-buttons in black or stainless steel. Different looks matching or contrasting the casing can be combined freely. 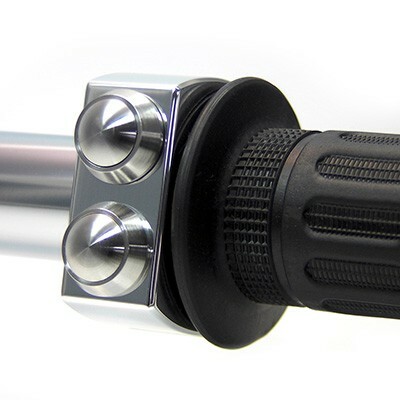 Two flush built-in M5 stainless steel mounting screws (only one screw on the three-button version) ensure secure and stable clamping of the push-button control to all handle bars. The push-buttons are of high quality, very robust design and vibration- and spraywater-proof (IP65). The adequate size and ergonomic pressure point (easy, mechanical detent) provide for a definite actuation sensing - even when operated with gloves. 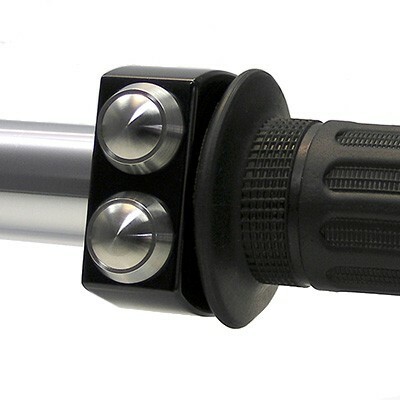 This feedback allows shifting without the need to check the operation. 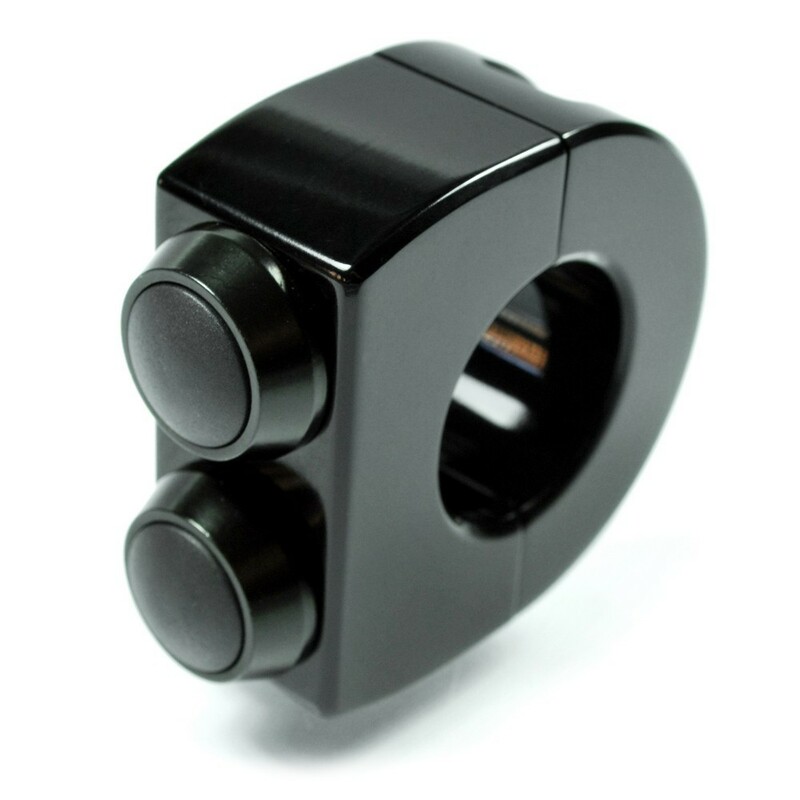 The push-buttons are available separately and can be replaced if damaged. The m.switch is of course compatible to all common push-button controls, e.g. the m-Unit.